At age 12 I started practicing kung fu at the Chinese Martial Arts and Health Centre with Sifu Marco Kavalieratos. I have been training in the disciplines of both Shaolin Northern Long Fist (Chang Quan) and Hong Family Fist (Hong Quan) for over 19 years now and have completed more than 36 forms. I have competed at various events and been awarded numerous medals at a national competition level. I started instructing after 2 years in the system and have been consistently instructing since then. Instructing has accelerated my growth and given me the opportunity to learn. For me martial arts has not only provided a method of self defence but has also given me the discipline to persevere and excel in all aspects of life. 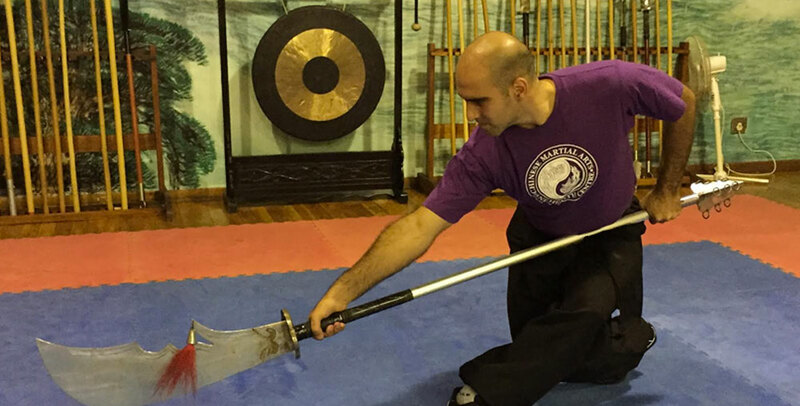 Over the last 4 years, I have developed a FUFIT program in conjunction with Sifu Marco. FUFIT combines the fighting fitness of the martial arts with other biometric and dynamic training exercises in order to increase strength in the body and improve overall fitness. In addition to this, I have been involved in the development of TKT with Sifu Marco and Elan Lea, a fellow senior student of The Chinese Martial Arts and Health Centre. TKT, or Tactical Kungfu Training, is a tactical weapons and disarmament course which we now offer to the public from our various centres around South Africa.